What if you could have a storm door that not only looks beautiful but truly protects your expensive entrance door from the ravages of sun, wind, and rain? What if it could help block the heat from the scorching summer afternoon sun so you can leave your entry door open to enjoy the view without your cooling system working overtime? What if you could leave your entrance door open more often in the winter months to let the light stream in without losing as much of your home’s valuable heat? 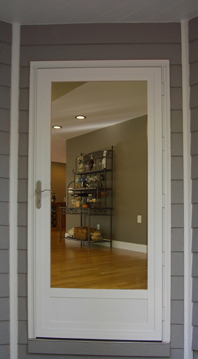 What if you had a storm door that helps keep unwanted noise from entering your home? What if? 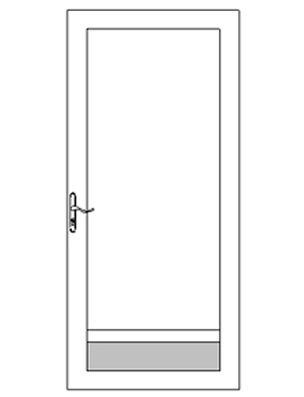 You can have all this and more with the all-new QuietVueTM Storm Door from West Window Corporation. The QuietVueTM takes advantage of the same modern insulating glass technology found in our highly energy efficient windows to give you the same outstanding benefits in your home’s storm door. Storm doors are often chosen for their looks alone without regard to their energy efficiency…the QuietVueTM gives you the best of both! Full 4” wide x 1-1/4” Extruded Tubular Aluminum Main Frame with heavy duty .062” walls. 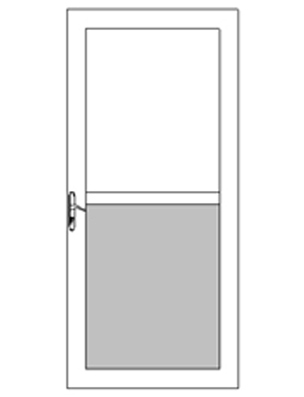 With approximately 18 pounds of aluminum in the main frame alone (3’0” x 6’8” door), the QuietVueTM Storm Door has well over double the weight of a typical aluminum storm door…weight that you can feel when you operate it. 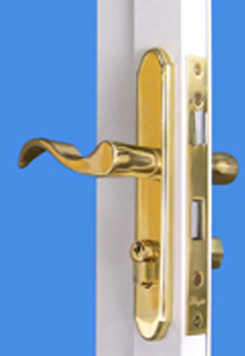 The elegant moulded detail on the door face makes the door as visually appealing as it is strong. 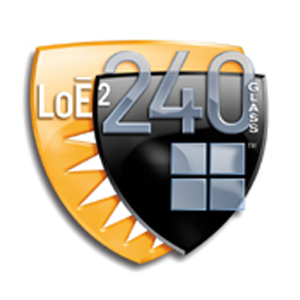 Insulated Glass models feature SuperSpacer® insulated glass spacer which achieves some of the very best thermal performance ratings in the industry. 5/8” Foam Insulated Laminated Kick Panel with a rigid hardboard outer substrate for better impact resistance and improved energy efficiency. 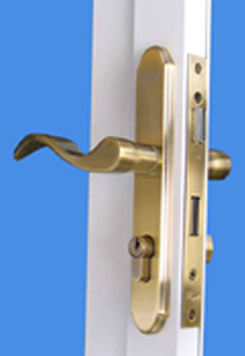 Beautiful Mortise Type Latch with deadbolt for additional security. For added convenience, the deadbolt can be field re-keyed by a locksmith to match your existing Schlage® or Kwikset® entry door lockset. Two Color-Matched Pneumatic Closers for quiet,dependable operation. Strong Steel Drawbar-Type Corner Gusset with four screws at each frame corner for exceptional frame rigidity. Tough, Durable Enamel Paint Finishes are electrostatically applied for long lasting beauty. Fully Adjustable Extruded Aluminum Bottom Expander utilizes two TPE (Thermoplastic Elastomer) sweep seals which will not deteriorate or shrink over time, unlike commonly used rubber sweeps. The photo above of the QuietVueTM Storm Door showing the insulated glass, insulated kick panel, heavy duty aluminum frame and bar, and double sweep expander proves that this is no ordinary storm door. Custom Sizes are available so you can be sure that your new door will fit perfectly – no more “making a standard size fit”. 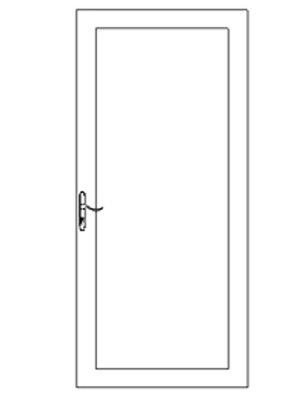 French-Style Double Doors are available with an astragal bar specifically designed for this purpose. Grids Between the Glass (GBG) are available. 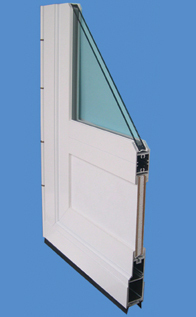 Argon gas for insulated glass models increases the glass insulation value. Custom configurations are also available to match your exact needs. Contact us for details. Quality that you can feel…The solid brass Mortise Lockset on the QuietVue™ Storm Door is available in a number of popular finishes to complement your entry door hardware. The Mortise Lockset does not need a surface mounted interior strike, providing a rich, “built-in” look for your home’s entrance. 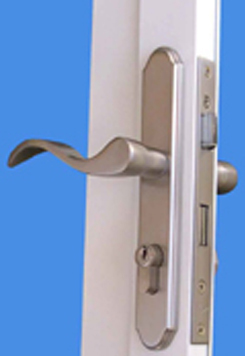 Comes complete with a re-keyable deadbolt lock, nylon nose bolt for smooth closing action, and an adjustable strike plate. 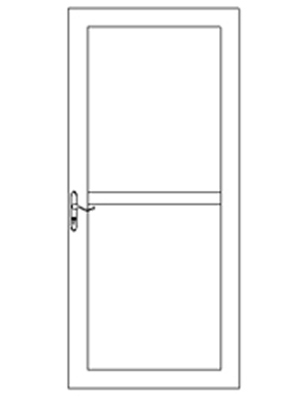 Why do I need Cardinal LoE2 Insulated Glass in my Storm Door? LoE Glass Reduces Heat Build Up between the storm door and entry door which could lead to premature failure of your entrance door’s finish and weatherseals. 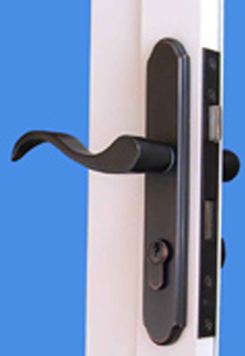 Helps Keep Your Entrance Door and HandleCooler – no more “too hot to handle” entry door knobs and less heat to radiate through the entrance door into your home. Reduces Solar Heat Gain, which helps minimize the heating of interior surfaces (hardwood or tile floors, for example), reducing the load on your cooling system. Reduces Fading of interior carpets, furnishings, and hardwood floors, as well as the finish and hardware on your entrance door. 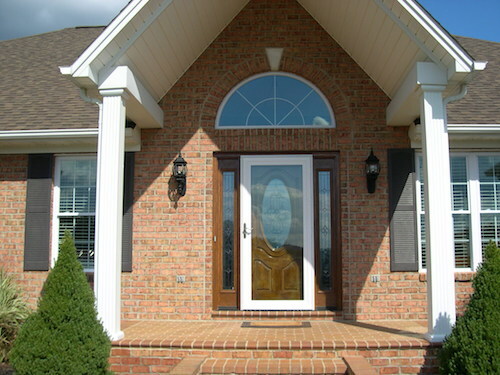 Improves Insulating Value so you can leave your entry door open more often in winter to give your home a welcoming look. The Inside Surface of the Glass Stays Warmer in Winter, dramatically reducing the possibility of condensation on the inside of the glass. 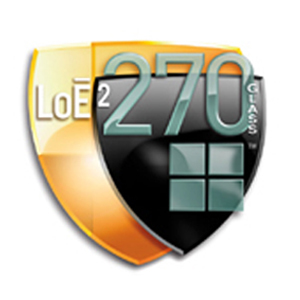 Click on shield above to learn more about Lo-E glass.